I don't even know where to begin, yet I realized today that I never "officially" announced some major career changes! I feel as if I've been majorly slacking on the blogging front for the past year, and especially the last six months. I even feel like my reading has taken a hit, but that's what happens when other things have to fill the plate. If you didn't already know, I'm back in grade school (again!) for another Master's degree. My first was in reading, but I am no longer in the classroom. The exciting thing, though, is that I am back with kids again in the school library! 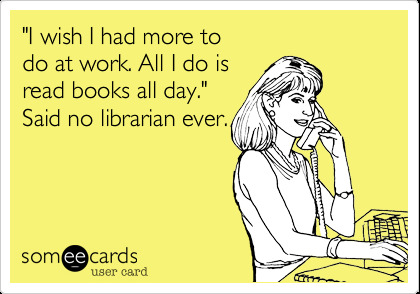 So I'm pursuing an MLIS degree while also working in a new job this school year at aK-5 elementary school as a library media specialist. So, yeah, the blogging and reading volume declined as I was figuring out a new job in a new district and having a large amount of reading and writing to do for grad classes. 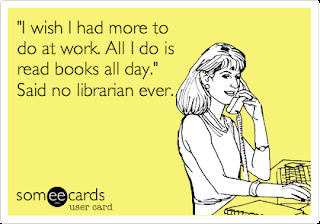 The good thing about it, though, is that I LOVE being in the library and I LOVE being at an elementary school. Even with the pressure that comes with a new job and the workload of grad school, there have been numerous times over the last six months when I've thought to myself that I feel like I'm finally in the right home for me. It's not that I didn't love teaching ELA in middle school, and I still miss bigger kids sometimes, but my heart and spirit feel at home. I'm still getting to work with teachers through BALB Literacy Consulting, and I'll still be presenting at conferences (I'm in the midst of finalizing some NCTE proposals right now! ), and I'm still Chairing the Wisconsin State Reading Association Children's Literature Committee, and it's all with a bit of a happier heart. So there may still be lengthy pauses between blog posts, but you can follow my reading through my goodreads page. And if you want more "real-time" updates on what I'm up to, twitter and Instagram are the places to go. Even though I haven't yet, I am still hopeful I'll get a post up of some of my favorite 2017 reads, even though I'm well into 2018 reading now! I didn't do it in December because the end of the grad school semester was crazy and then I spent the holidays at Christmas Markets in Germany with my husband, and we got to ring in the new year in London with my parents! It was wonderful, and a good reason for not blogging. 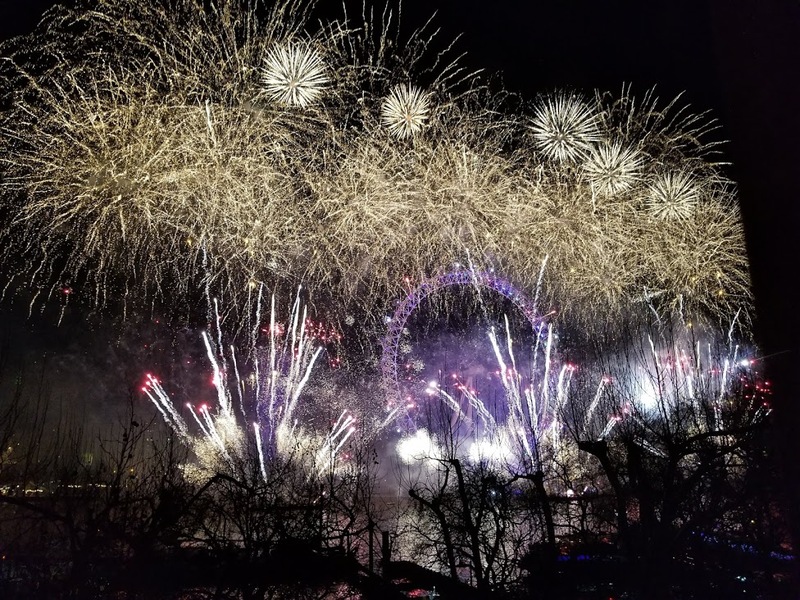 :) We had an incredible view of the New Year's fireworks to kick off a great 2018! Happy New Year & Happy Reading!